Both the parties have been clashing since 2007. 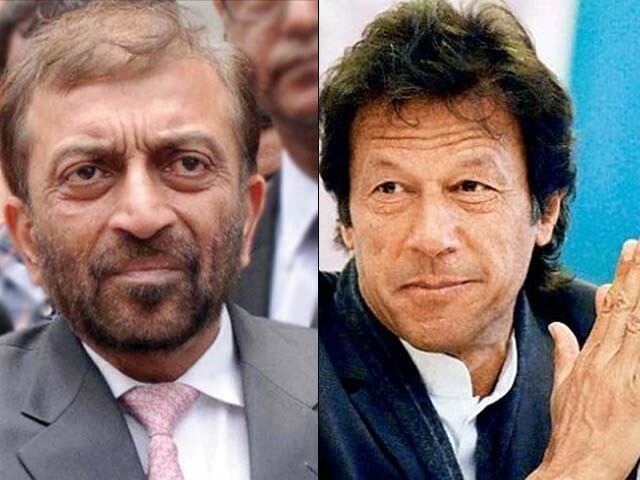 Lately, there has been a lot of buzz about the possibility of an alliance between the Muttahida Quami Movement – that is now divided into MQM-Pakistan (MQM-P) and MQM-London (MQM-L) – and the Pakistan Tehreek-e-Insaf (PTI) at a federal level. Furthermore, this alliance is allegedly to replace the current opposition leader, Khursheed Shah of the Pakistan Peoples Party (PPP), with someone nominated by PTI. It is said that all politics are realpolitik and eventually realist concerns dictate what political parties actually do. PTI and MQM, given their history of intense confrontation, would prove this saying true if this alliance materialises. Both the parties have been clashing since 2007; PTI has accused MQM of murder, extortion and sponsoring terrorism in Karachi. If they carry through with this coalition, it will add another U-turn in a long series of PTI’s U-turns (case in point: The PTI and Jamat-e-Islami (JI) alliance). The problems between the two parties began on May 12, 2007, when Karachi witnessed large-scale violence allegedly perpetuated by radicals belonging to MQM. The reasons behind this were to show support to former president General Pervez Musharraf by preventing the then chief justice, Iftikhar Chaudhary from addressing the bar council. Following this violence, Imran Khan became one of the fiercest critics of MQM and its leader, Altaf Hussain. More than anything, it was Imran’s fierce stance against MQM and his open support of the lawyers’ movement that gave him and his party the significant boost it needed. Before the lawyers’ movement, PTI was a political minnow with little to no weight in national politics. The media coverage for the movement propelled Imran to a figure of national stature. Furthermore, through this, he began to gain the support of Pakistan’s white-collared, urban middle-class. Although PTI really came of age in 2011 with their famous Lahore rally, the ascent had started back in 2007. Subsequently, PTI also lodged a case against Altaf in Scotland Yard and from that point onwards, the relations between the two parties continued to deteriorate. The crux of their hostility reached its peak when PTI’s Zahra Shahid was killed on May 10, 2013. Imran, in fact, accused MQM of her murder. Then, in 2015, PTI fought a bitter by-election which it lost by a huge margin. However, during all these years, despite the problems, there were occasional talks of a possible alliance. 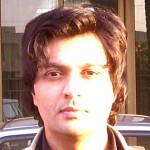 In 2010, MQM’s leader Ali Raza Abidi, while criticising Imran on the latter’s various stances also indicated that both parties had some similarities. In fact, those so-called similarities were acknowledged by Imran, in an interview, when he claimed that his party’s “natural” alliance was with MQM as both parties were of middle-class origin. MQM’s supreme leader, Altaf, also occasionally alluded to both the parties’ middle-class roots and once invited Shah Mehmood Qureshi for an alliance. Now, it finally seems that a formal alliance is on the cards as the need to de-seat Khursheed Shah as the opposition leader has brought the two parties closer. With Altaf out of the picture, and elections nearing, this may become an electoral alliance in the future. Nevertheless, will this development strengthen the democratic process in Pakistan and align like-minded parties? Alternatively, is it merely a marriage of necessity? From a realpolitik angle, both parties stand to gain. MQM-P’s major beef is with PPP’s Sindh government and it would like to increase its bargaining power through an alliance with PTI. For PTI, on the other hand, this is an opportunity to pave the way for an electoral alliance in the future, which could prove instrumental in its bid for getting the required number of seats in the National Assembly (NA). However, I doubt that it is a “natural” or positive development, even from an ideological perspective. There are similarities between the parties, in the sense that both are largely urban parties and have middle and lower middle-class vote banks. Nevertheless, the differences between the two parties are much starker. MQM-P is an ethnic party, which has consistently argued against the state-cultivated narrative, which tries to subdue ethnic identities by overstressing religion. Its natural alliance is with other ethnic nationalist parties and not with PTI as the latter is the ideal political manifestation of the state-cultivated narrative. In the Pakistani context, MQM-P is a quasi-secular party whereas PTI is a right-wing party, which constantly whips religious nationalism. Furthermore, despite a history of violence, MQM-P actually has progressive credentials. It played an important role in the amendment of the Hudood Ordinance in 2006, vehemently opposed the implementation of Shariah Law in Swat in 2009, and tried to project women in its party structure. In contrast, PTI is a thoroughly reactionary party which eulogised the Taliban in the past and gave an apologetic defence to their activities. Furthermore, it also opposed amendments in the Hudood Ordinance and opposed the Women’s Protection Bill in 2016. It constantly whips up religion and is in alliance with JI, easily the most conservative party in Pakistan. Given these stark differences, I really doubt that an alliance between the two parties is “natural”. Whatever its faults, MQM-P remains a liberal and secular party. In fact, since Altaf has lost his hold over the party and with the Rangers’ operation, its militant aspect has also weakened substantially. It is now poised to play a more positive role in the social and political landscape of Pakistan. A long-term alliance with a right-wing and regressive party like PTI would actually be detrimental for MQM-P, and I sincerely hope that it stays away from PTI. MQM’s alliance with PTI is not only unnatural, but also can prove to be more fatal and disastrous. I believe MQM needs sincere and qualified advisors at this stage, so that it can make intelligent decisions. Also, it should refrain from making decisions in haste and must have certain principles, so that its opponents cannot continue painting that this party has no political and moral weight. Also, in my opinion, it should not continue begging as PPP did for ending the corruption cases against its leaders, but lost its credibility and vote bank for good. Besides, MQM should also realize that Ik has the history of using and trashing people and rising on the shoulders of others. Imagine, what if IK did not have strong initial support and established intellectual base of Mr. Qadri which gave him political boost before and during dharna, where PTI would be standing today? It was PAT who built a stage for PTI, empowered and enabled IK to be at this stage of popularity. But, just after using and cashing PAT’s well organized and reasoned dharna, PTI ditched PAT. Same is the case of IK’s past managed victories in sports. He used others and superiors to rise on their shoulders and later ditched them. Not only this, IK has been hating MQM and its Urdu speaking supporters and throwing racial remarks openly in public against them. All this proves that IK is not only not trust worthy and has no leadership qualities, but also has no principles in his life. He is a flip flopper and his politics depends on throwing mud on others and mobocracy. He is dying for power. That is why he is after Shareefs. He knows that Sharteeefs are the only major obstacle in his way of becoming PM of Pakistan. Think about it, what if Shareefs were not in power and the establishment was not against them this time, would he still go after Shareefs power and corruption with that intensity? I do not think so. The saying “Doobta kia na karta! !” describes MQM’s conundrum. As far as idealogy is concerned, I am not sure whether any political party in Pakistan is true to its idealogy. The PPP the party for the poor is really a cabal of Fuedals and corrupt politicians. PTI’s main problem is that it is ready to make a bargain with the devil if it gets it into power. Though the people who supported MQM have genuine grievances, Altaf Husain was not only not able to deliver but he turned its reputation into that of a gang of bandits and killers lvery much like the history of the Black panthers of USA. But MQM has split as you now have the MQM of Altaf Hussein and the MQM minus Altaf Hussein…..the question here is , has Imran Khan decided to deal with Altaf hussein’s Party or the New MQM who have dissociated themselves from him??? any thug political parties will solve Karachi’s problems. It belongs to Muhajjirs. Pahteecher Khan, or Mr.10% and his looters are not wanted in Karachi.